When you are right outside an International Airport, you feel that the stay and service shall be your major selling points. Food options take a backseat in such a setting and it more run-of-the-mill stuff. But that’s where Le Meridien Cairo Airport took up the challenge and became a game changer! 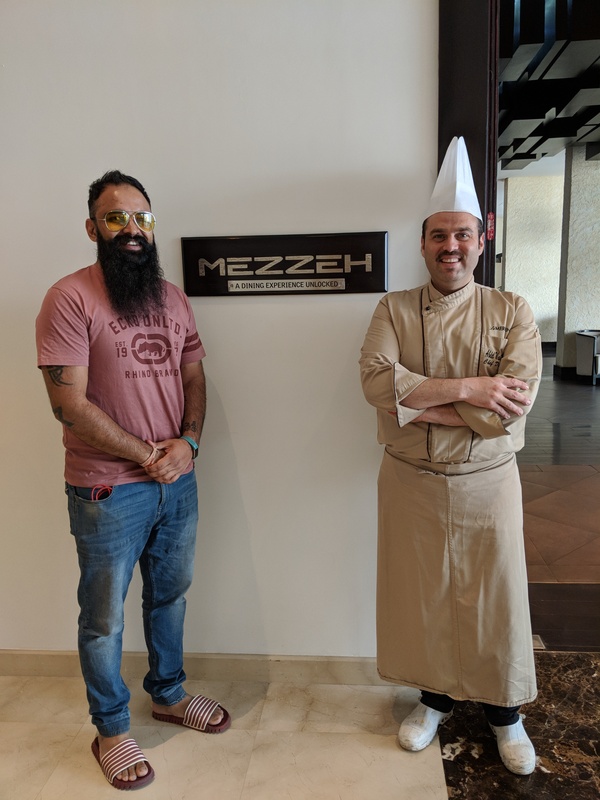 The F&B Team, has taken upon themselves to establish the restaurants at Le Meridien Cairo Airport as some of best in Cairo. In a process of doing that, they have managed to impress the people staying with them and even lured people from the city to come dine with them. What stands out is how well they have understood the food business in this setting. 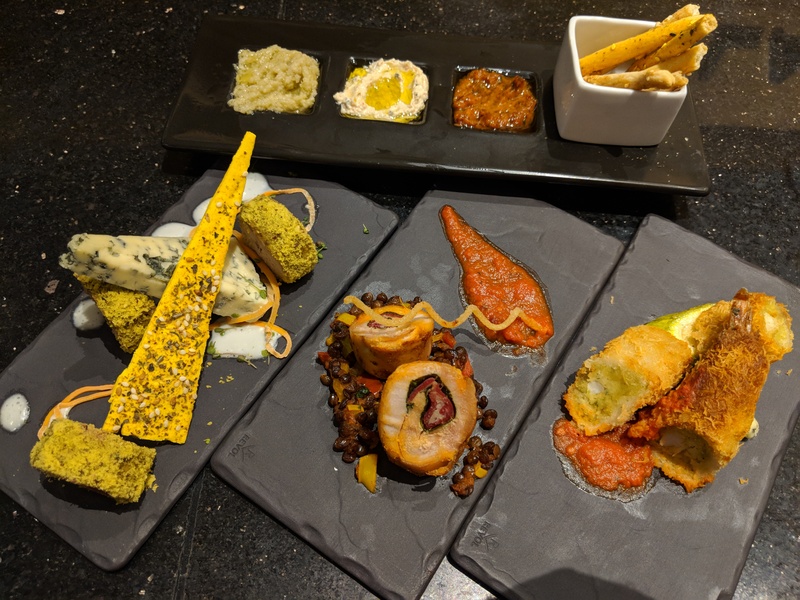 Given how tough it was to source ingredients and engage a clientele that’s not predominantly looking at your food, they went on to build 6 Amazing Dining Options at Le Meridien Cairo Airport. Before we go on to the restaurants on the property, a special mention to how the journey starts right from the room. 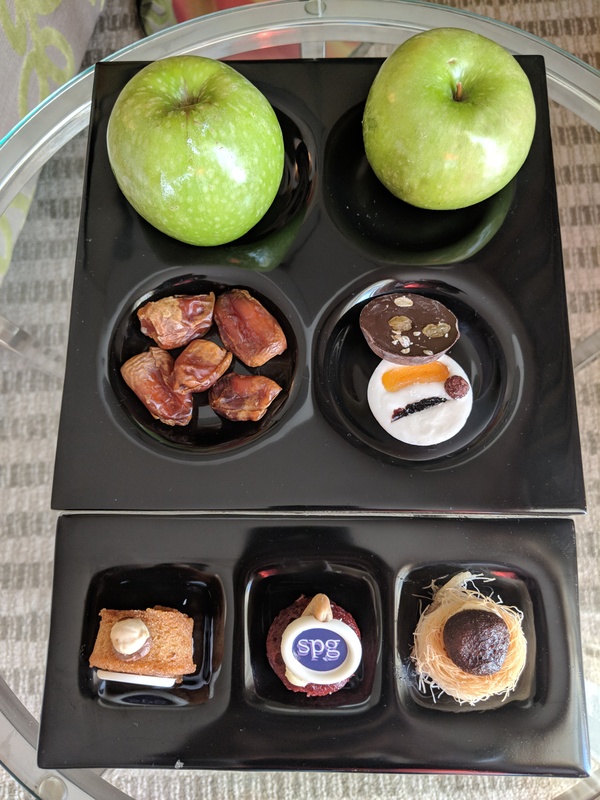 A pretty, well curated tray was waiting in the room to welcome us. Let me show you the F&B options at the property! The all-day dining outlet doles out amazing Mediterranean fare, a scrumptious breakfast and some hard-hitting Illy’s Coffee. They start serving breakfast from 4 AM and that goes on to say how well they understand the need of the customers. 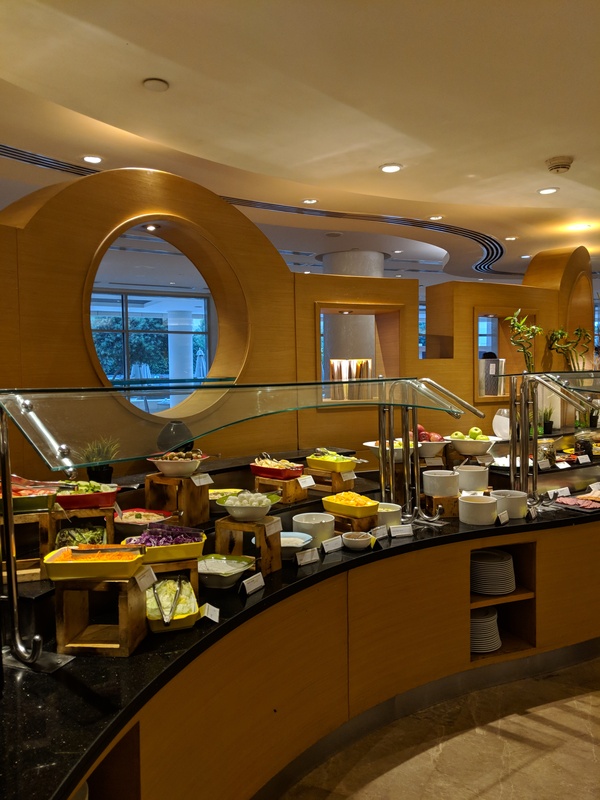 Their breakfast is loaded with so many options coupled with the usual fare to some signature offerings. The Signature Omelet was packed with so many flavors and gave a nice start to the breakfast. Also, if you have had a hard night and want an early morning kick, start with the ‘eye openers’. What makes the whole breakfast experience even better is the promptness of the people on the floor. I loved how they kept checking up on the coffee, juice and even breads. 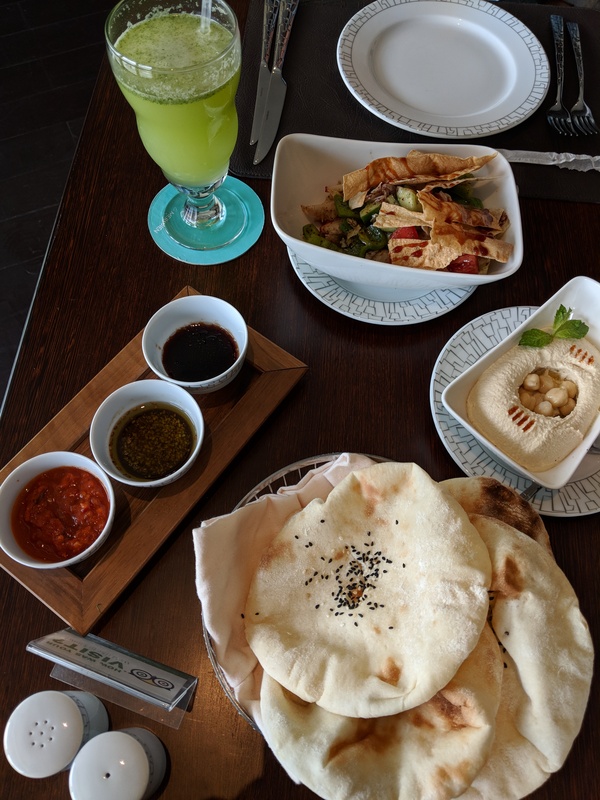 You can’t be in Cairo and not have a nice Lebanese fare in the offering. This informal restaurant is well lit, boasts of high ceilings and feels like a very spacious set-up. The menu is just perfect and covers everything that one would seek on a Middle-Eastern restaurant. 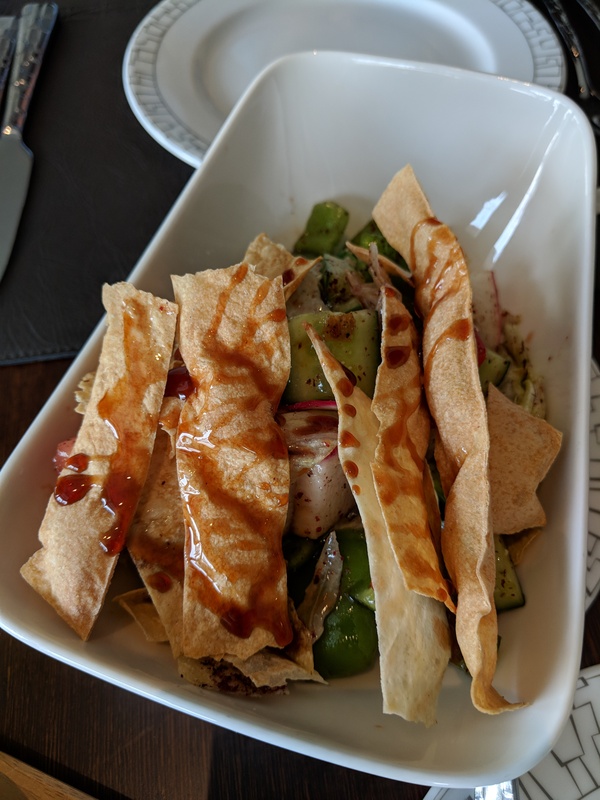 We started with the Fattoush is nice and fresh with some crispy bread to add a new texture. 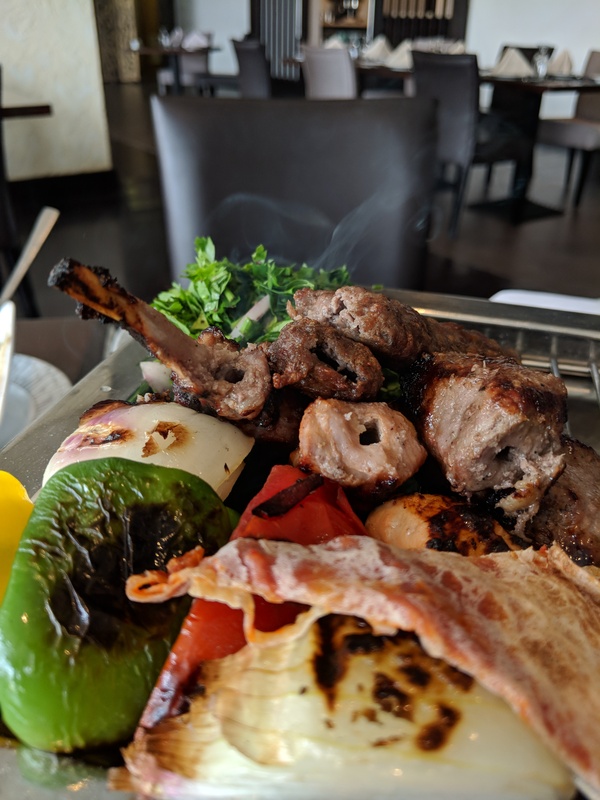 Being spoilt for choices given the options for grills, we picked the Oriental Mix Grill – Kofta, Shish Tawook, Kebab and Lamb Chops. What came next was so amazing that nothing could have prepared us for that. 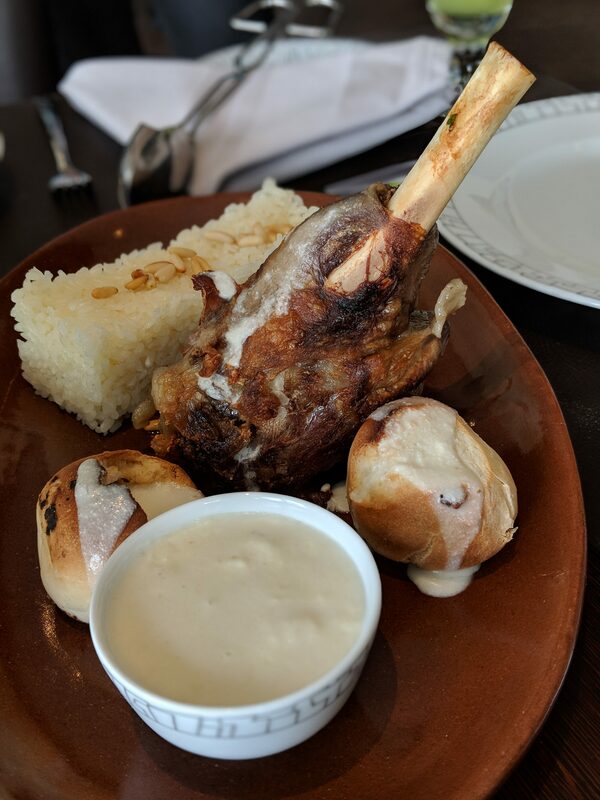 The Yoghurt Lamb Shank is massive, juicy and one of the best things that I have had on this trip. 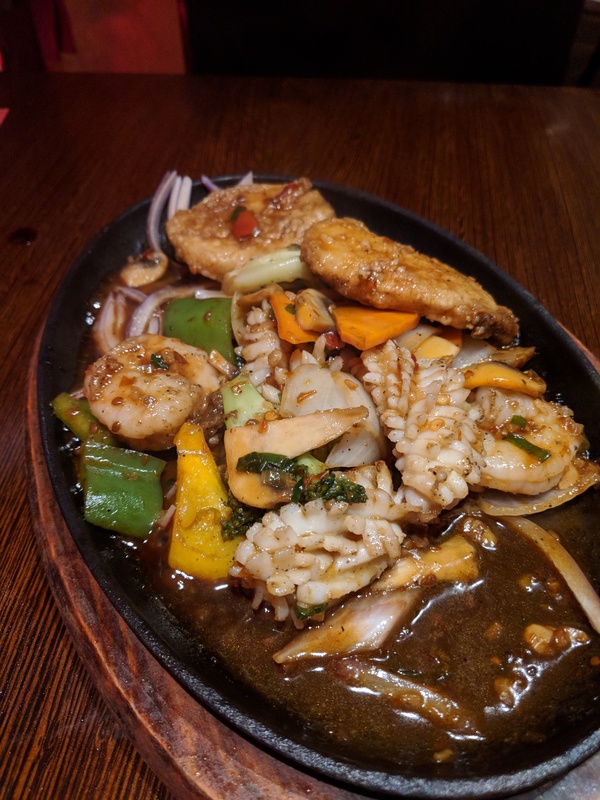 Picking Chinese as an option on the property was a big gamble, but then they stood by their decision and it just kept getting better from then on. 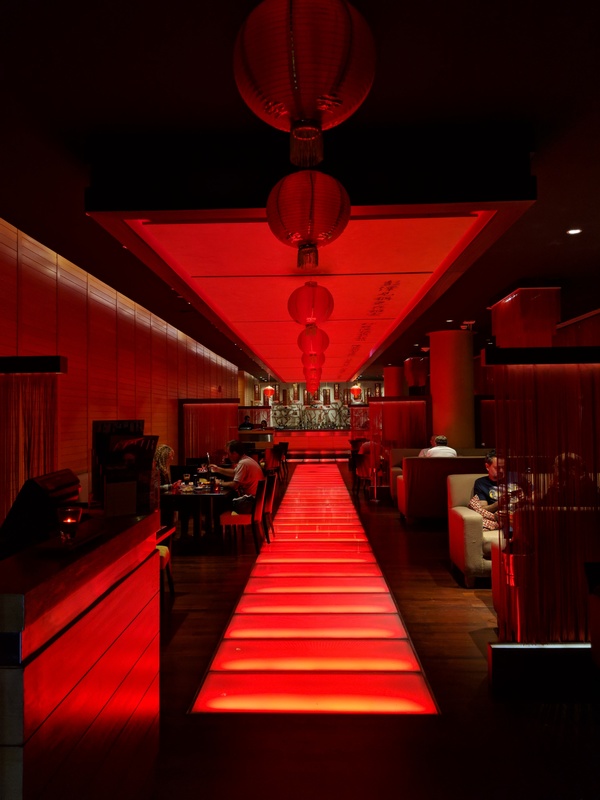 Keeping up with the Oriental love for Red, the whole place welcomes you into the feel of Red. 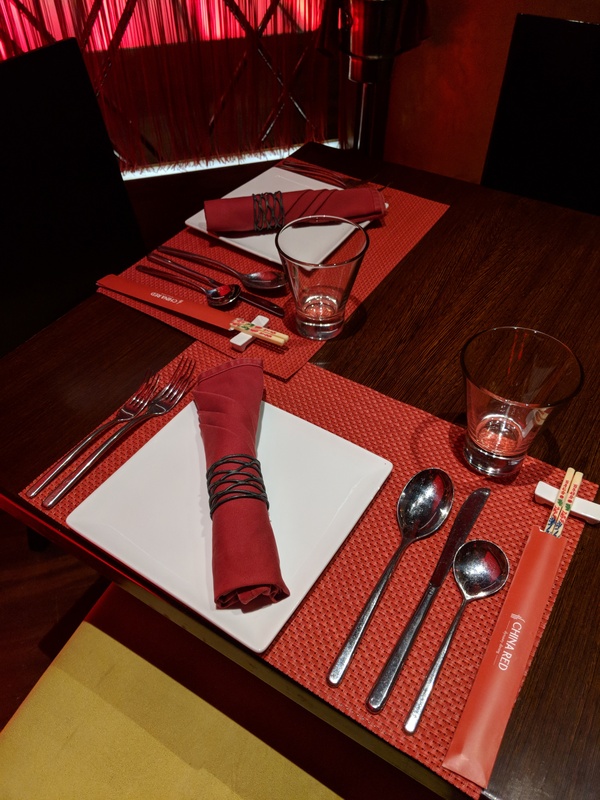 Our table was set up perfectly and the food began to roll. 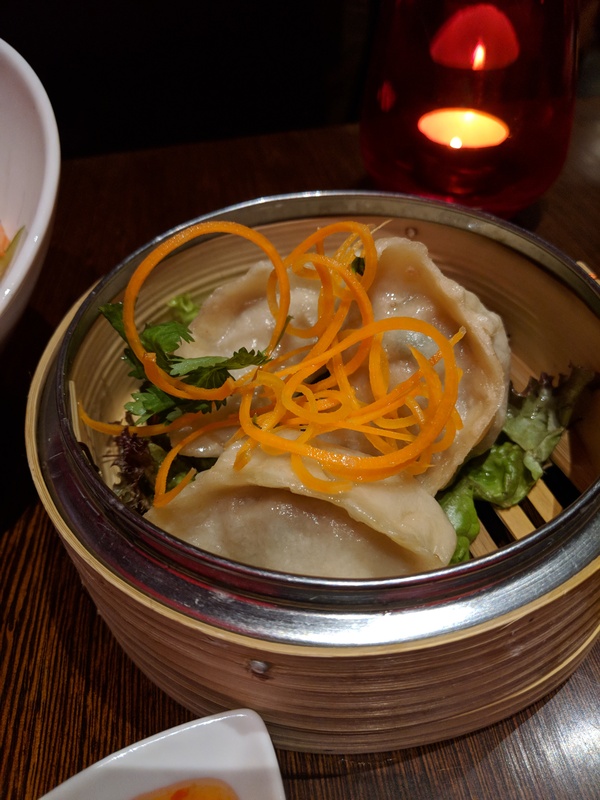 The Dumplings provided a good start to the evening with its lightness and mild flavors. 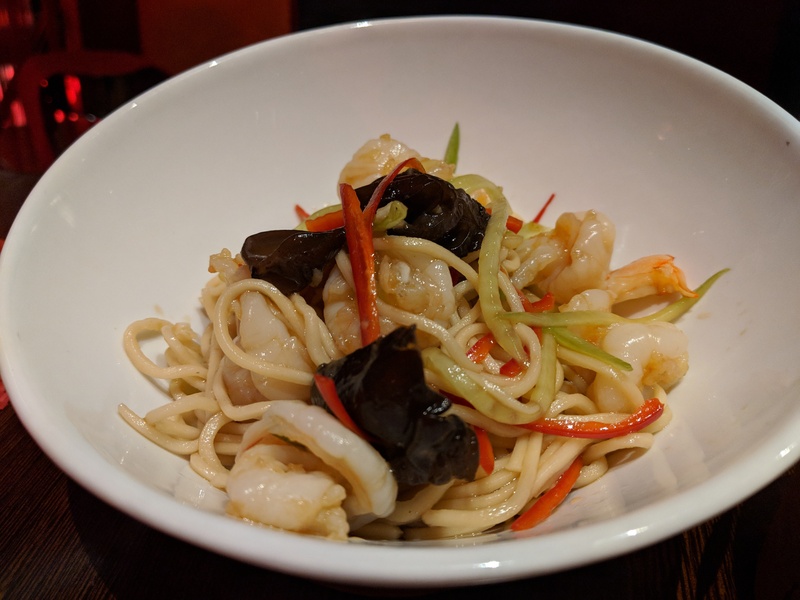 The Jiangsu – Shrimp Salad came highly recommended and did not disappoint. Another specialty here is the Sizzling Plate offering. Piping hot mix brought to the table all steaming is an amazing sight. We got the Mixed Sea Food Plate and it came loaded! The sauce was perfect and the seafood came together really well. 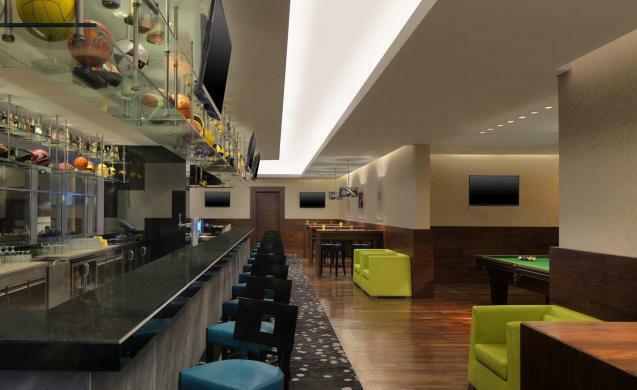 For a more laid-back setting on a game night, this bar is the perfect place. With all sports covered on the screens, they have even gone ahead to add Live performances (3 Days a week) into the mix. The menu here is bar menu and mostly American fare. 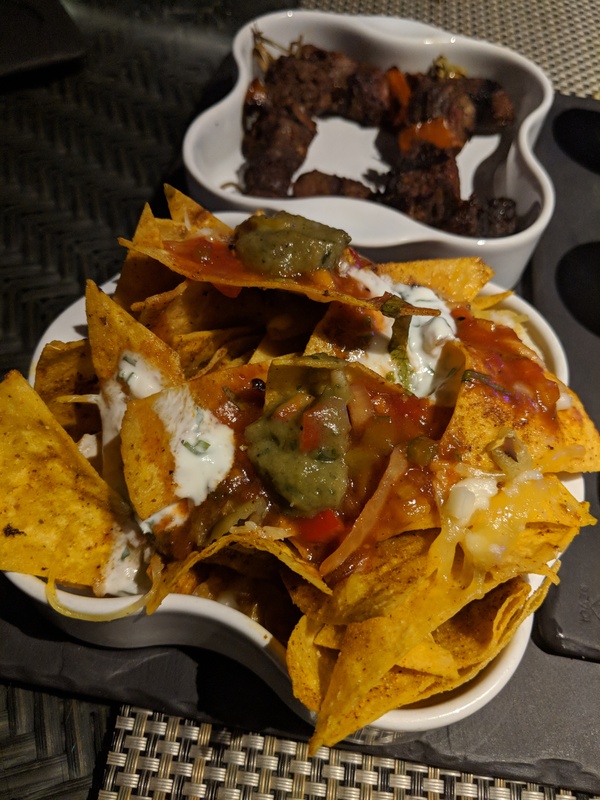 All of it in big portions and served quick. The setting near the pool provides a nice backdrop and you can even enjoy some Sheesha out there. 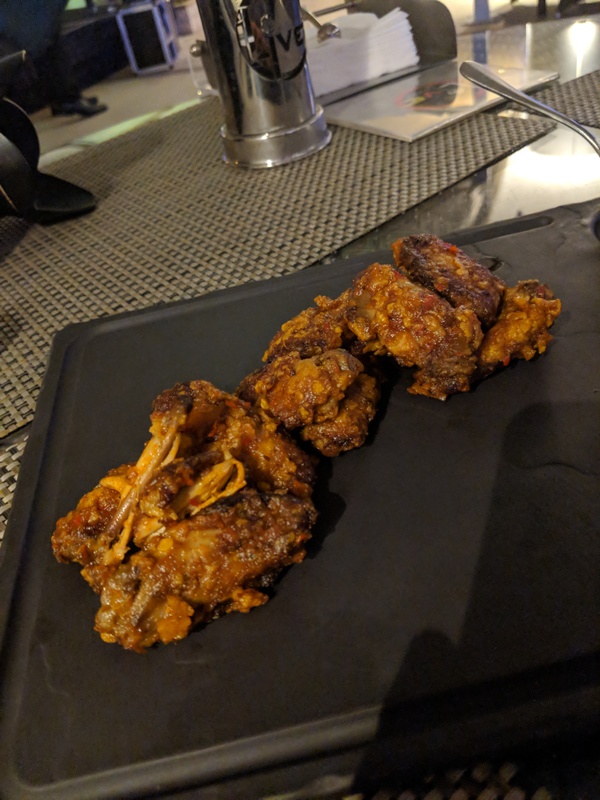 The Shaken Wings were the stand out that night with the way its served. We have had plenty of wings, but just loved the way it was made here. The all-day bar makes for a nice setting to grab a quick drink or have a meeting. 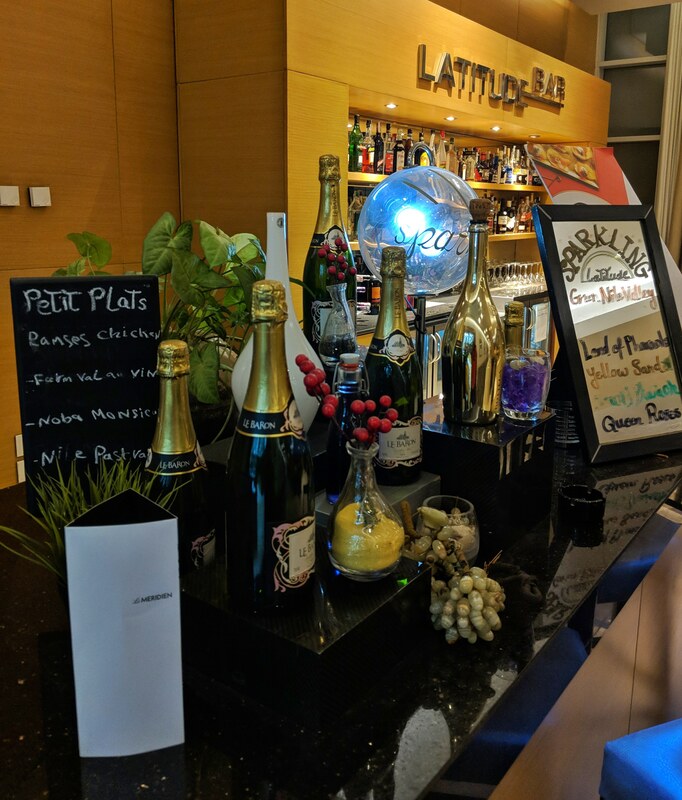 But what stood out at the Latitude Bar was the Sparkling Evenings, a Le Méridien Signature, where you can enjoy a couple of mocktails and feast on petite plates. 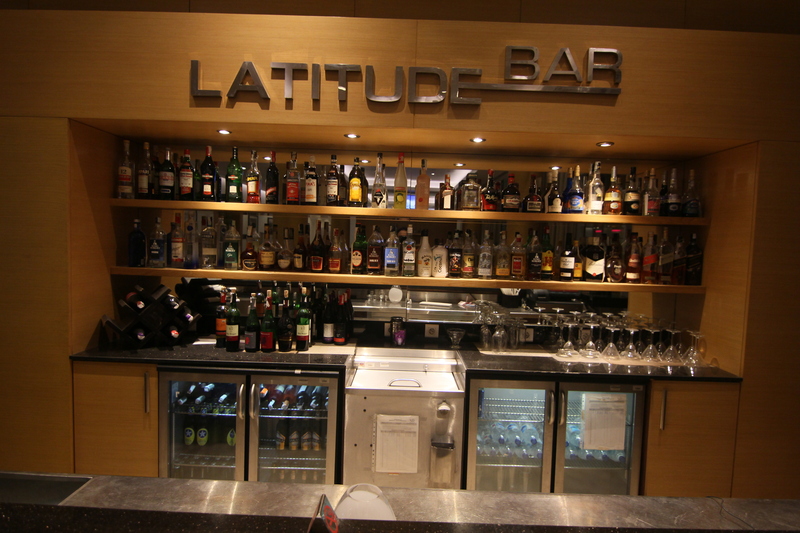 The Latitude Café is a star on its own. 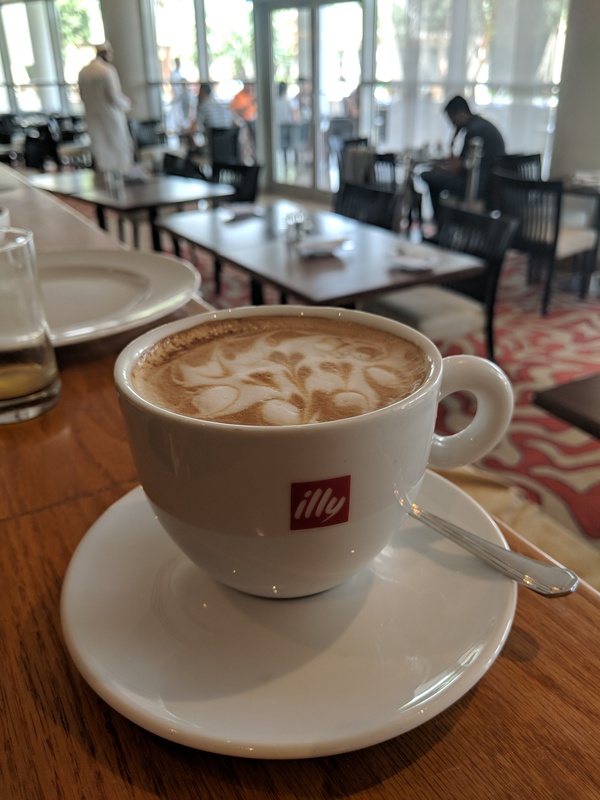 With the fragrance of Illy’s Coffee in the air, it will lure you to come sit and grab a coffee. While there, you cannot miss out on the desserts and quick eats. One of my favorites among spread was the Dates and Milk Eclair, which also happens to be Le Méridien ‘s Signature Dessert. If you are craving something sweet, the Latitude Cafe is the place for you. 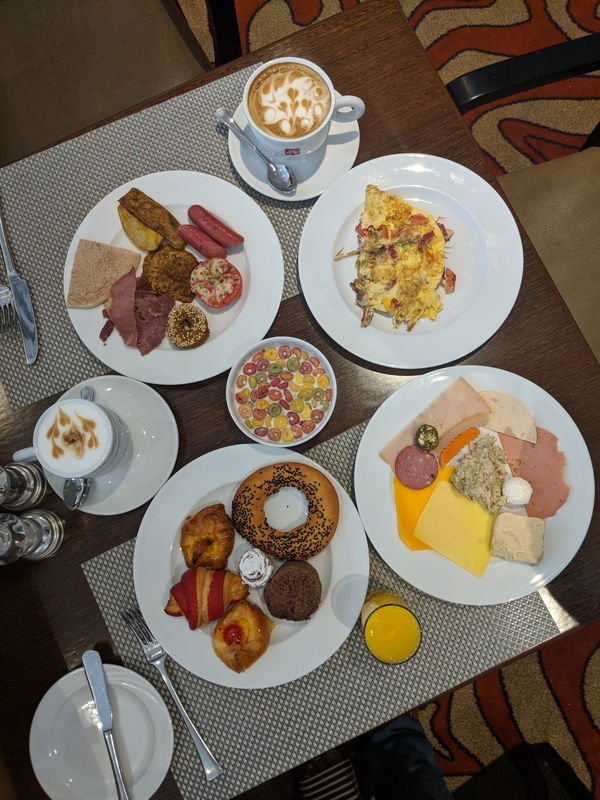 With so many options available, there’s something for everyone and every mood at Le Meridien Cairo International Airport. So, whenever you are in Cairo, make sure you check out these places. 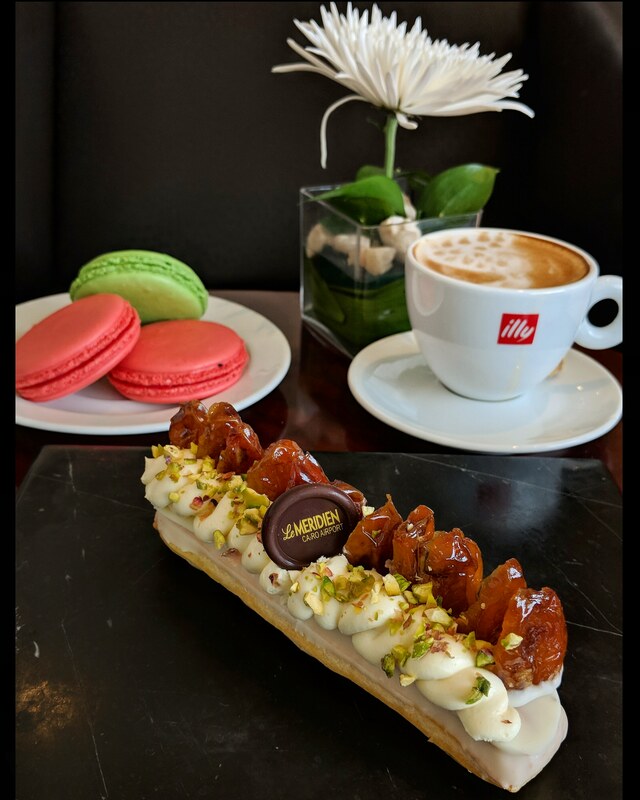 I would go back just for the Lamb Shank at Mezze and the Éclair with some Illy’s Coffee.